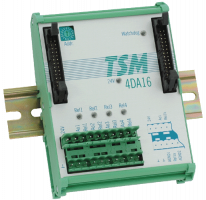 TSM-4DA16 generates analog control voltages for four stepless actuators. It is mostly used to control servo amplifiers. The bipolar output supports 4x quadrature mode. 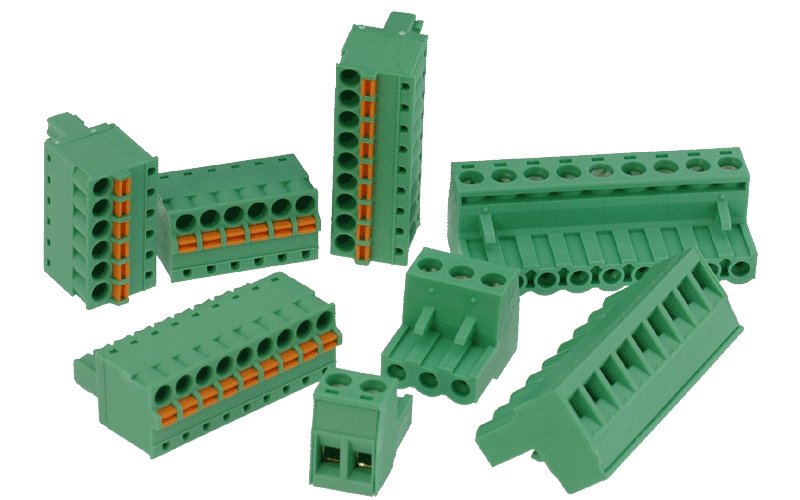 At reset the corresponding relays are turned off, the “controller ready” signal is deactivated and the output level is switched to ground. This also happens if none of the four channels is retriggered within 50 ms or the watchdog is active (orange LED). mCat will do the retriggering automatically in the background. The relays can be switched separately. 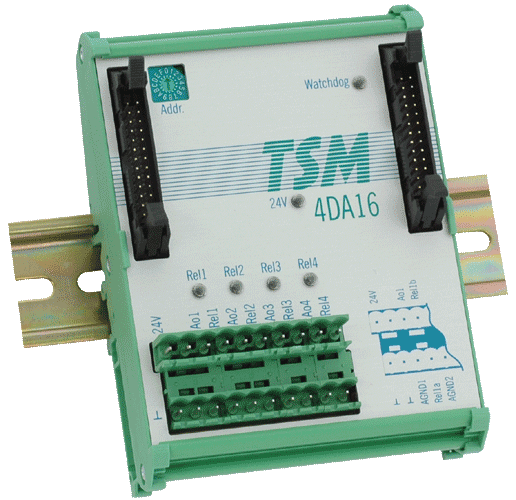 The module monitors the internally generated subsidiary voltage that is fed from the 24 V supply voltage (green LED (24V)).